Software sales are final, no refunds. Try out the Weather Display Software! Download a free 30 day trial before you buy. Weather Display Weather Monitoring Software for the Oregon Scientific WMR200 and WMR300 weather stations is the software to get the most from your weather station. 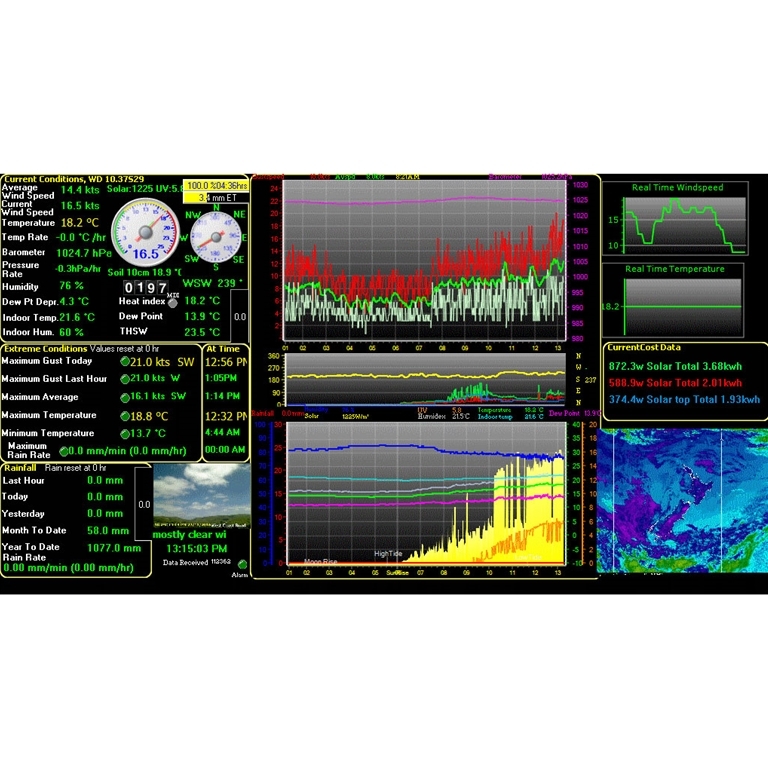 Weather Display features and options include real time, auto scale and graph history graphing, FTP of the weather data to your web page, pager and email notifications of extreme conditions, web download, Metar/ Synop emails, averages/extreme/climate/NOAA reports, web cam upload, grouped file uploads, FTP downloads, decoded metar download's, APRS output (internet and direct com port as well) ,WAP, direct web cam capture, animated web cam images, weatherdials, weather voice, weather answer phone, use of Dallas 1 wire sensors (such as lightning counter, solar sensor, barometer sensor and extra temperature/humidity sensors with any weather station), use a Labjack to add extra temperature or humidity sensor to your existing weather station (USB)... and lots more! For use with the Oregon Scientific WMR200 and WMR300 weather stations. Customize the main screen and add custom tags to display the data you want to see.